Please provide us with your vehicle's VIN number so that we may confirm whether or not the parts you requested are compatible. Genuine Original Equipment Manufacturer (OEM) Mopar Chrysler Jeep Dodge Ram SRT parts and accessories. Affordable pricing as well as in-stock & ready to order inventory. Fast and affordable shipping. Friendly and knowledgeable customer service. If parts need to be ordered, they will be shipped within 1-4 business days. Please email your inquiries or call us before placing your order if you need these parts urgently. If a part is found to be on BACK-ORDER, we will do our best to either special order it or find you an available one. Mopar is the replacement part, accessory, and performance part division of Chrysler vehicles. 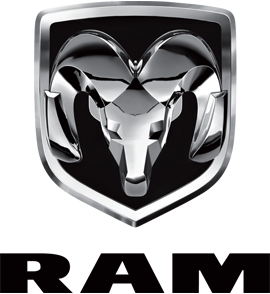 Mopar is the official manufacturer of factory parts for Chrysler, Dodge, Jeep®, and Ram. When you buy a genuine Mopar part you are buying the factory original part for your vehicle with an available factory warranty that can be claimed at any Chrysler/Mopar dealership near you.